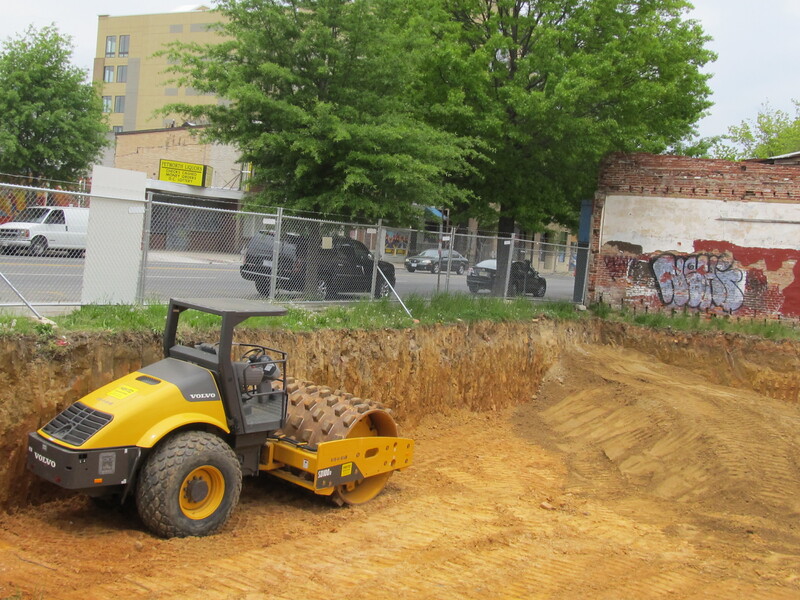 Georgia Ave. Housing Development Update | Park View, D.C. The development at 3205 Georgia has finally broken ground. In checking out how new housing development is coming along in the Park View community, I’m happy to say that the new development at Kenyon and Georgia has finally broken ground. This project, in the works since September 2012, will be entirely residential. 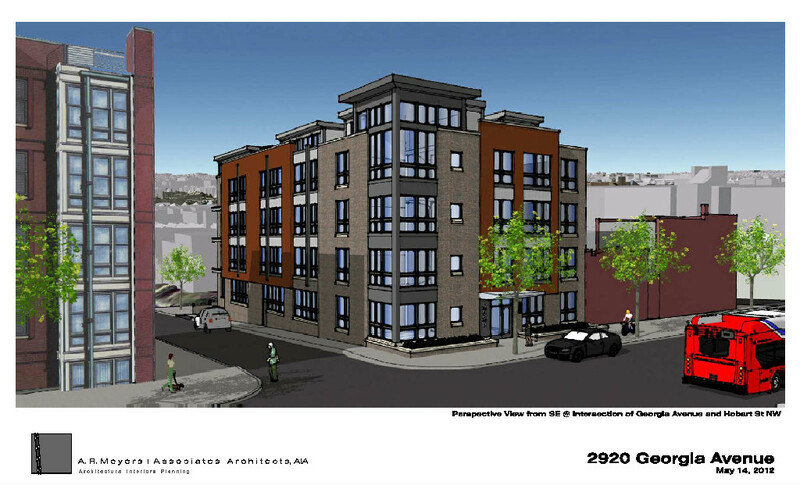 The building will have five floors containing 31 1- and 2-bedroom rental units when completed. I posted color renderings of the project back in March. Construction site at 2920 Georgia Avenue. 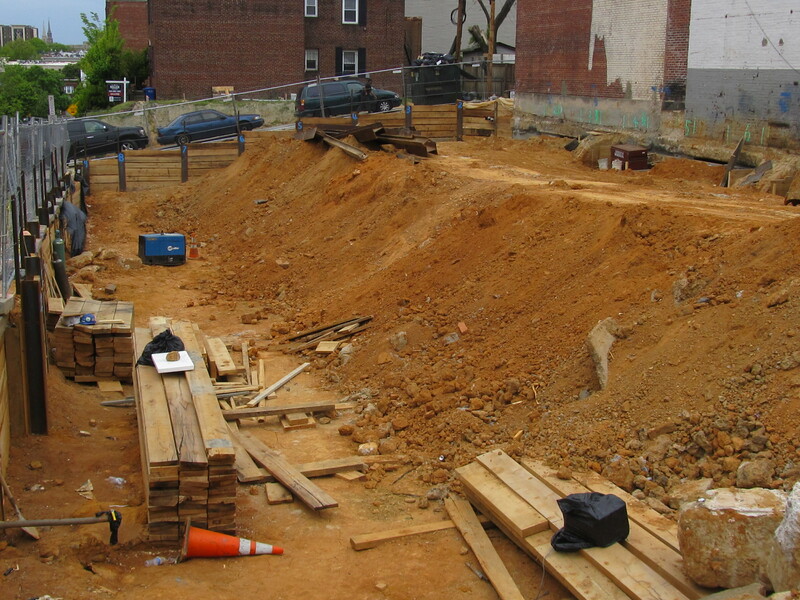 A little bit further south at 2920 Georgia (corner of Hobart), the housing project there is also in the midst of its excavation phase. This building is designed to be a 4-story condominium building with 26 units. I posted the rendering of its elevation back in August 2012. 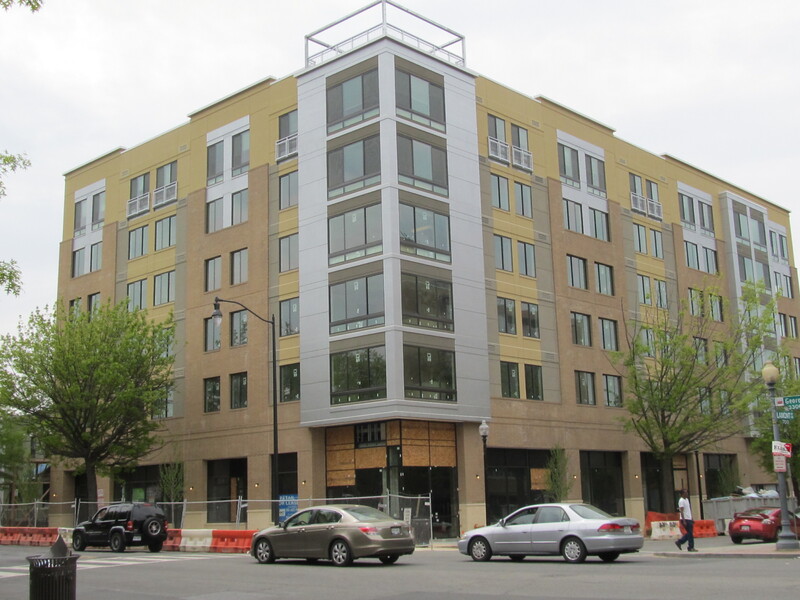 Lastly, the Heights project at Georgia and Lamont is finally nearing its completion — at least on the exterior. As you can see from the photograph below, the building looks a lot less like a work site and a lot more like a finished building — complete with exterior lighting and new sidewalks. When completed, it will have 69 units with 10,000 square feet of ground floor retail. This project has been in the works since August 2010. In all, these three developments represent a total of 126 new living units in the neighborhood. The Heights project, at Georgia and Lamont, is nearing completion with new sidewalks and outdoor lighting. This entry was posted on April 29, 2013 at 1:01 am and is filed under Development, Housing. You can subscribe via RSS 2.0 feed to this post's comments.